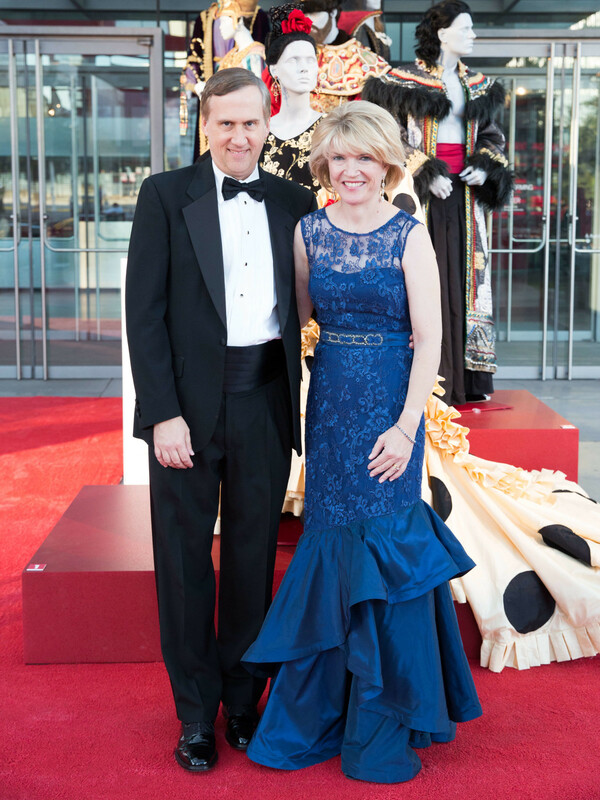 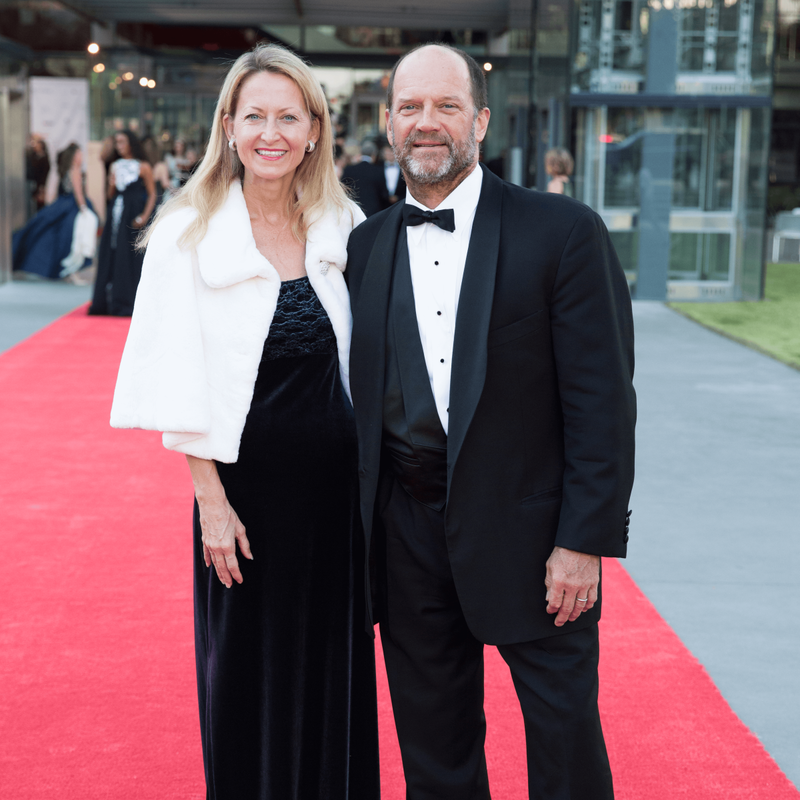 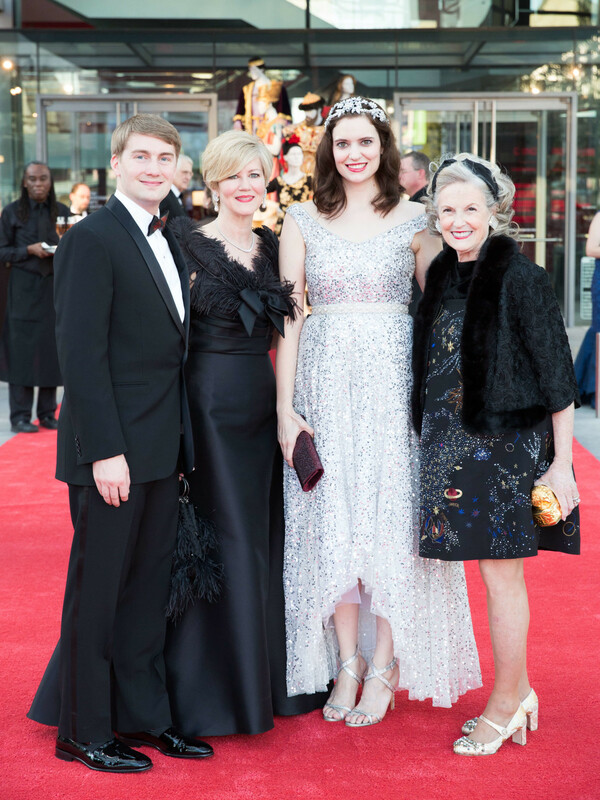 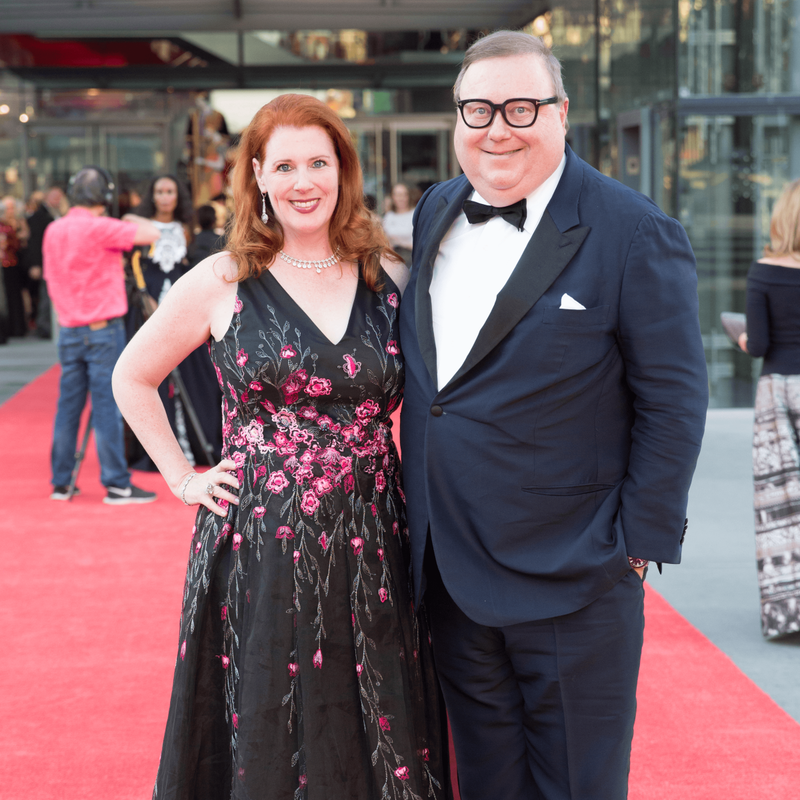 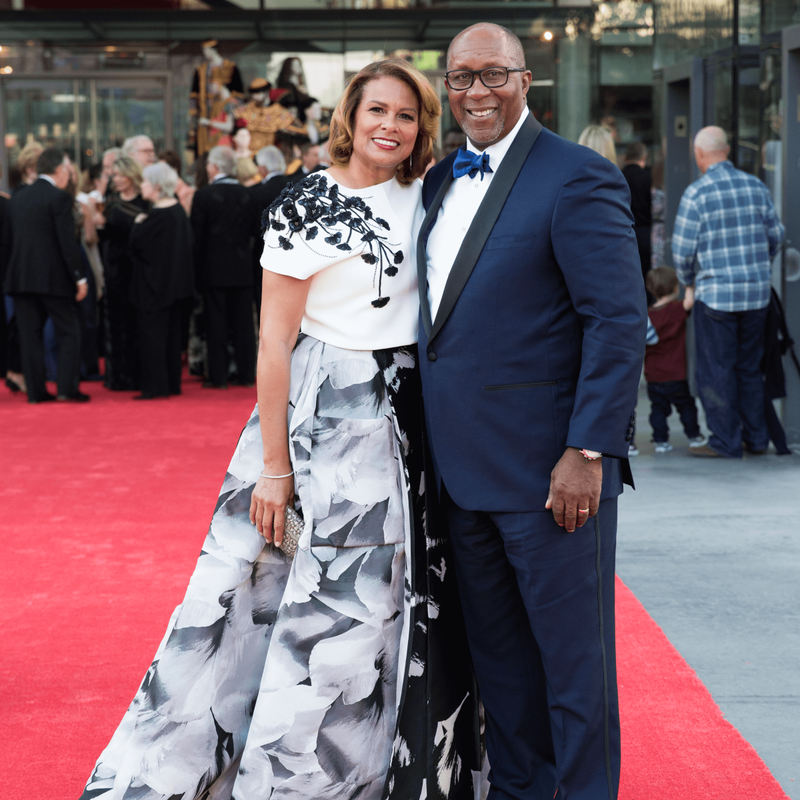 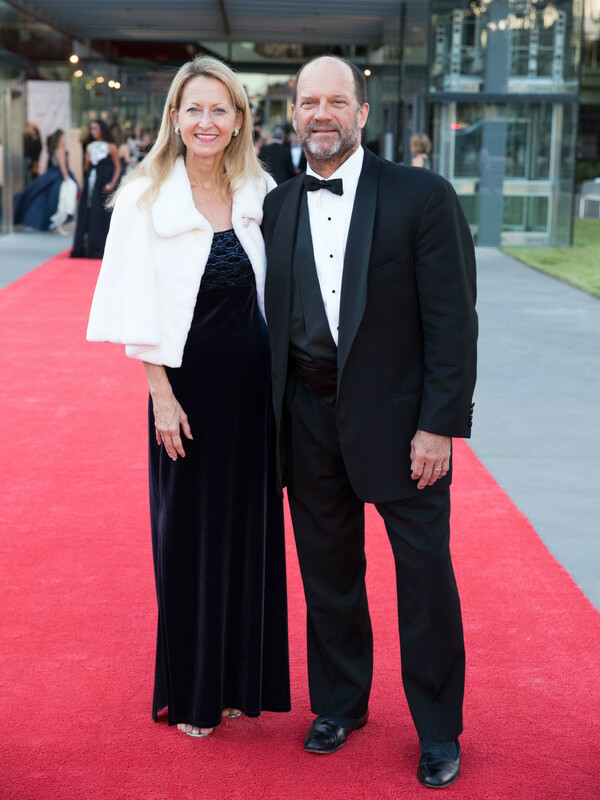 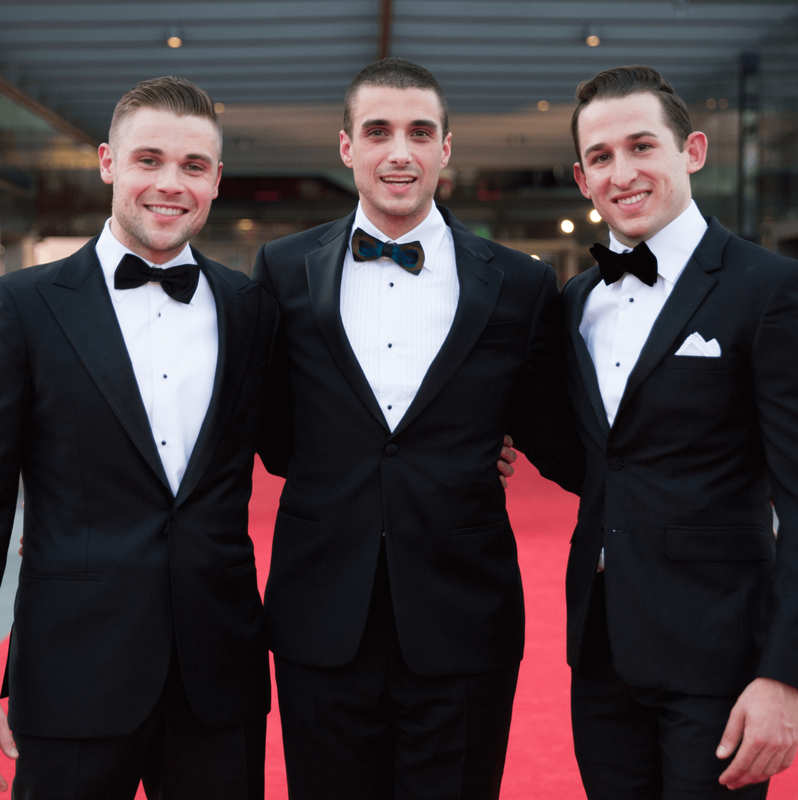 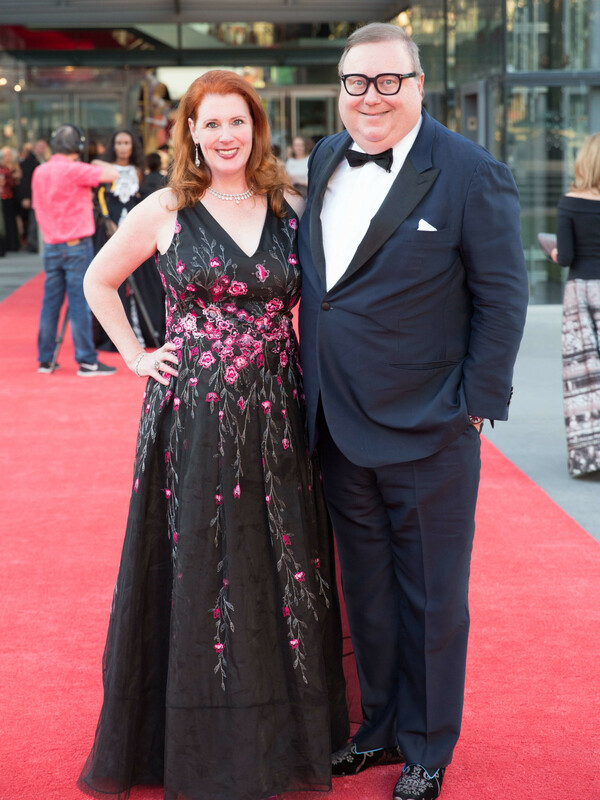 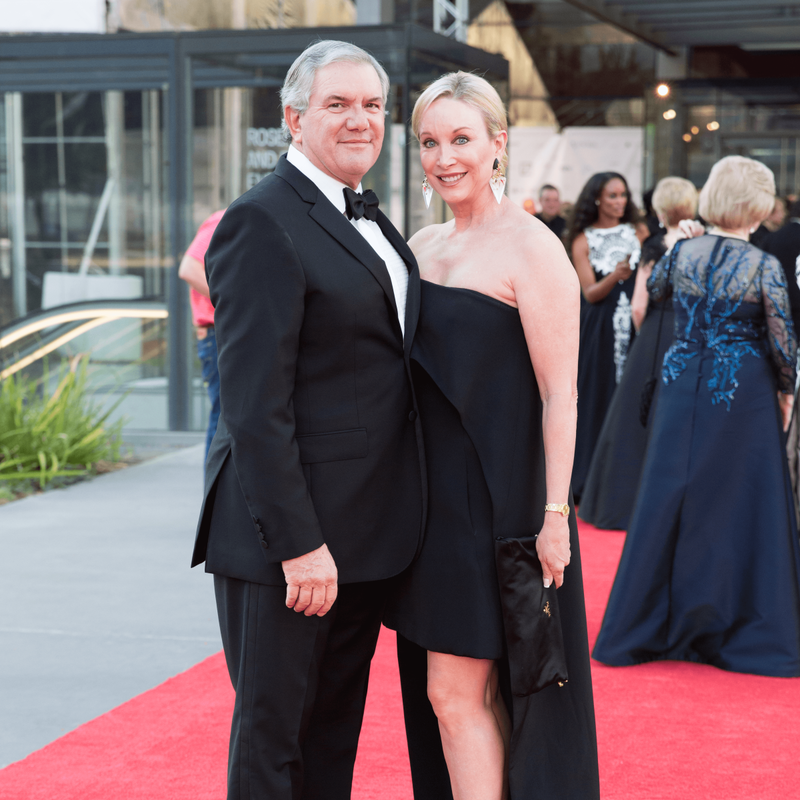 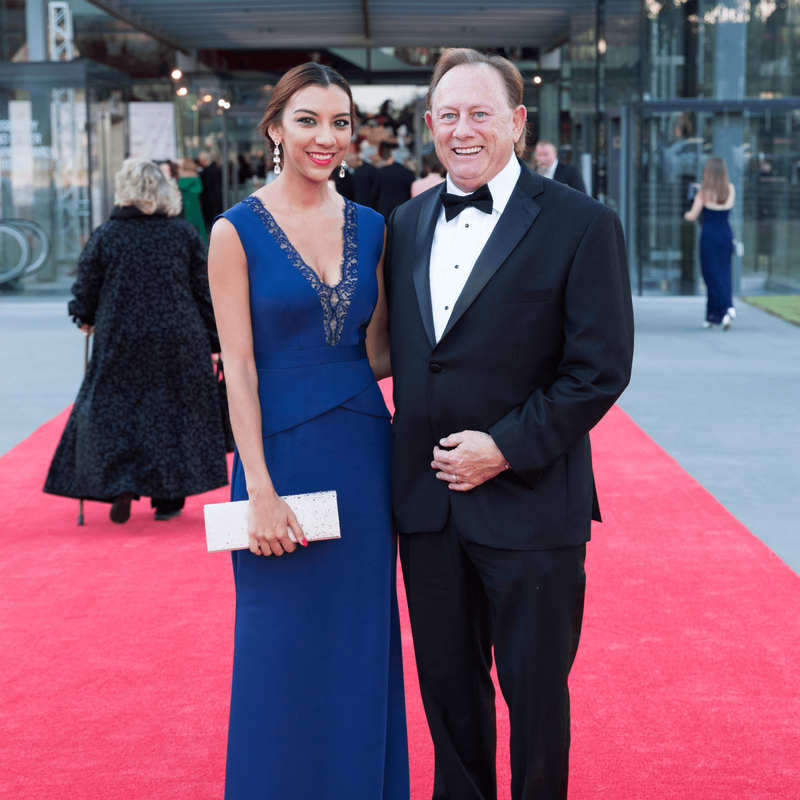 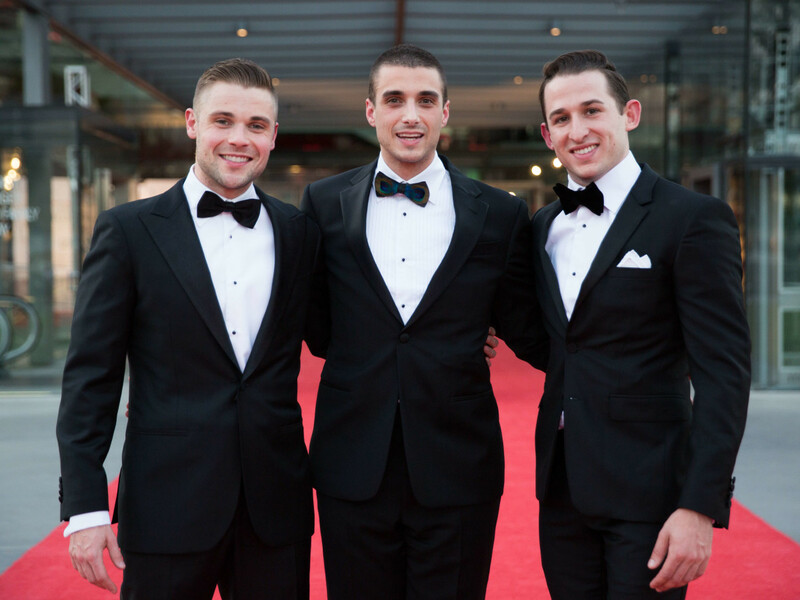 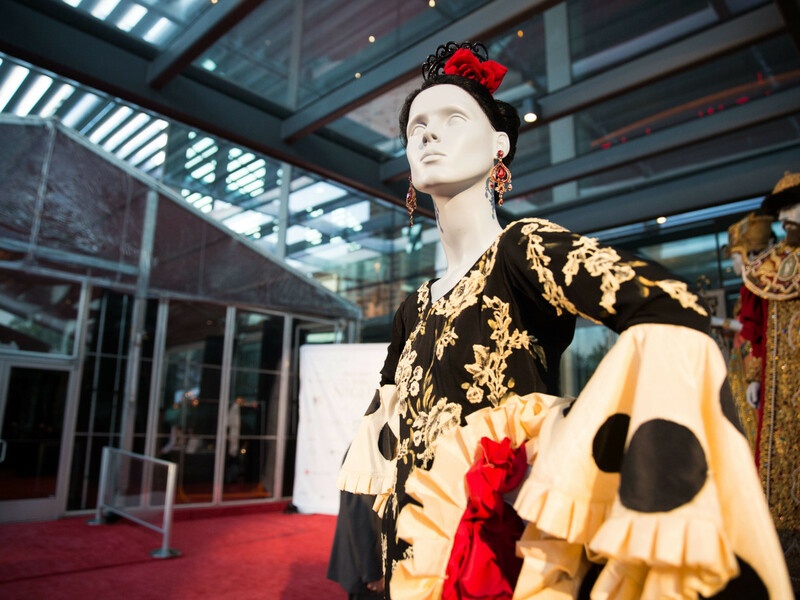 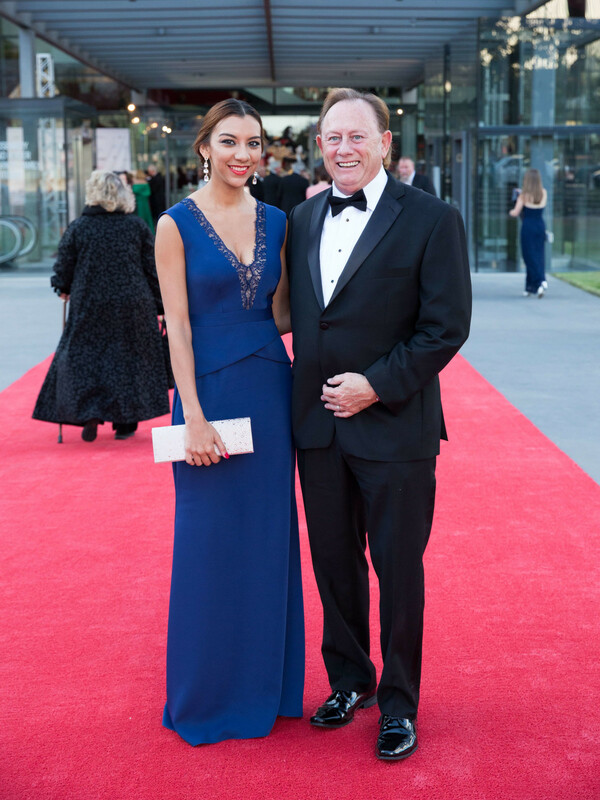 As the sun set on October 28, nearly 250 elegant Dallasites graced the red carpet at the Winspear Opera House for the highly anticipated First Night gala celebrating the 60th season of the Dallas Opera. 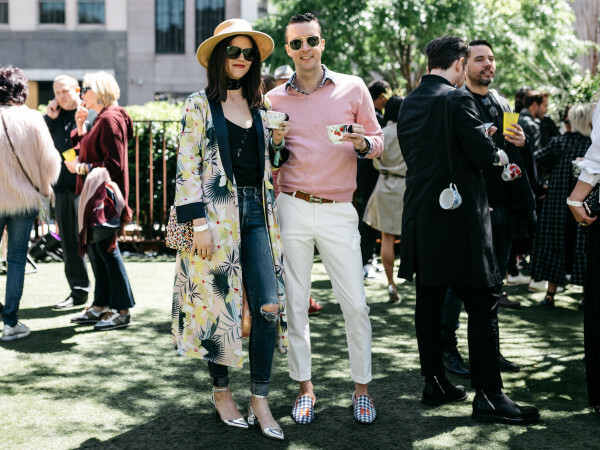 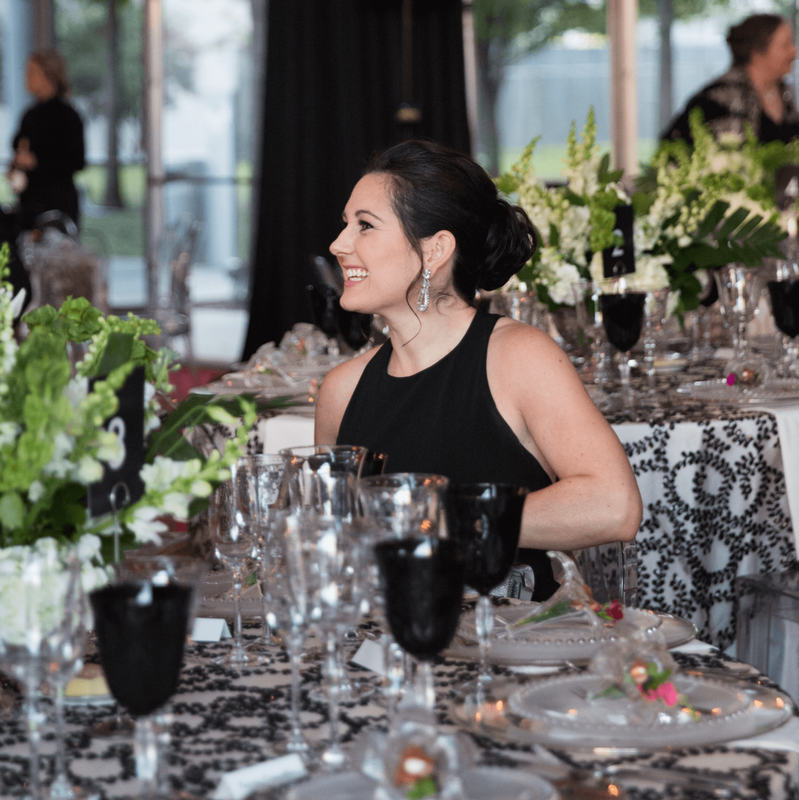 Following the First Sight fashion show and luncheon, which took place the day before, the pre-performance dinner and after-party proved once again why it remains at the top of every good socialite’s calendar. 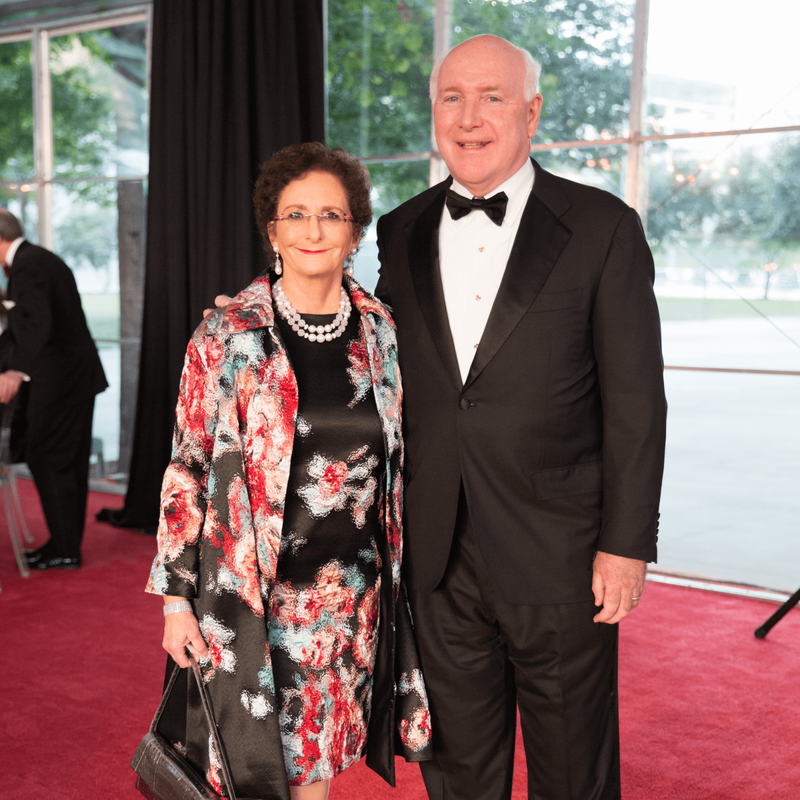 Event chairs Ellen and Don Winspear, along with honorary chairs Joyce and Harvey Mitchell, Lynn and Allan McBee, and Rhonda and Kit Chambers, donned stunning gowns and tuxes for the black-tie affair. 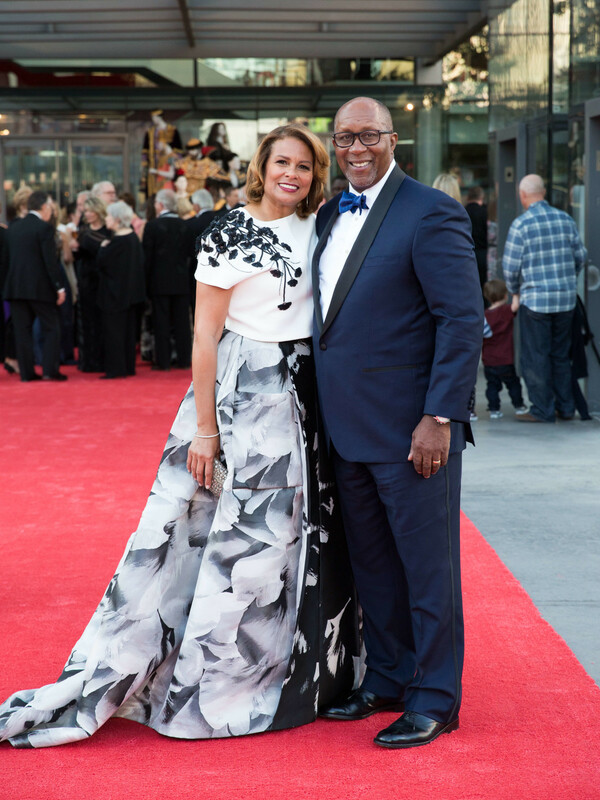 All eyes were on dinner chair Matrice Ellis-Kirk and her beautiful black-and-white ensemble, as well as her dapper husband and co-dinner chair, ambassador Ron Kirk. 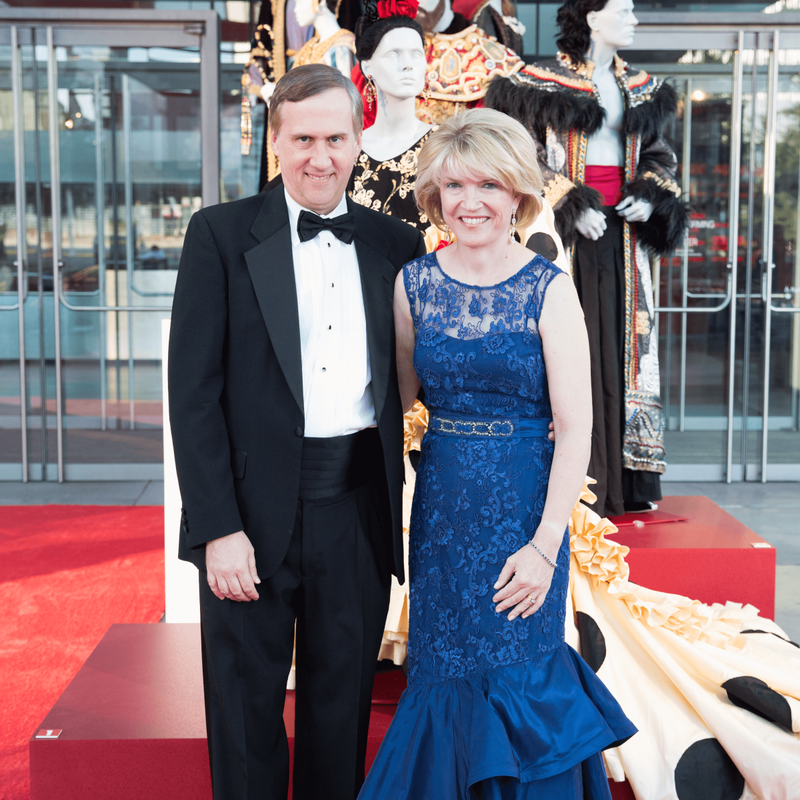 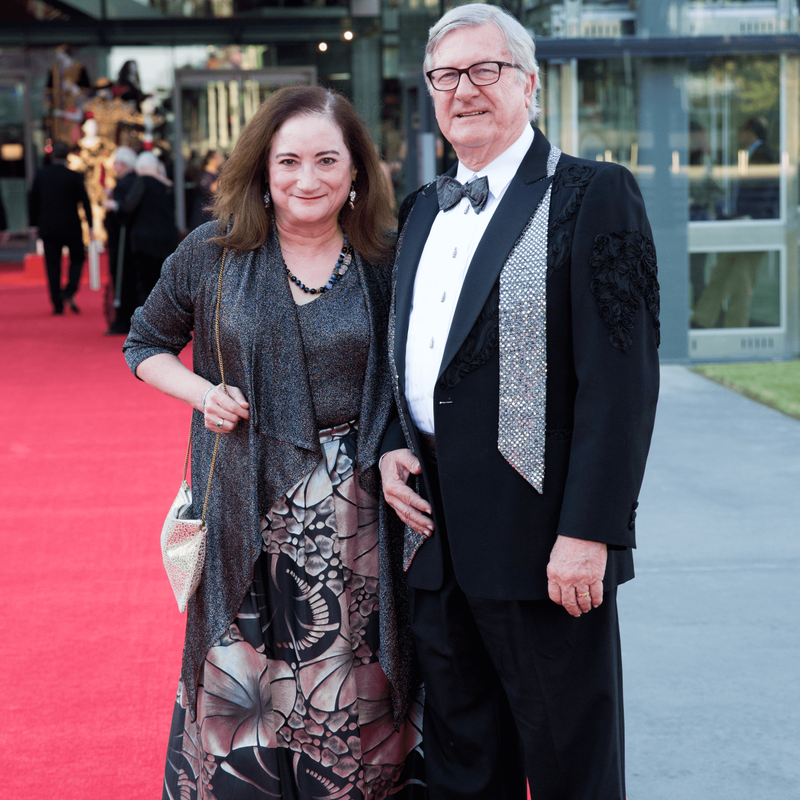 With champagne in hand, guests — including Kara and Randall Goss, Lynn and Presley Mock, Lorena and Kimball Ramey, Nancy Nasher and David Haemisegger, and Anne and Steve Stodghill — admired the six impeccably designed costumes on display, representing one opera from each decade. 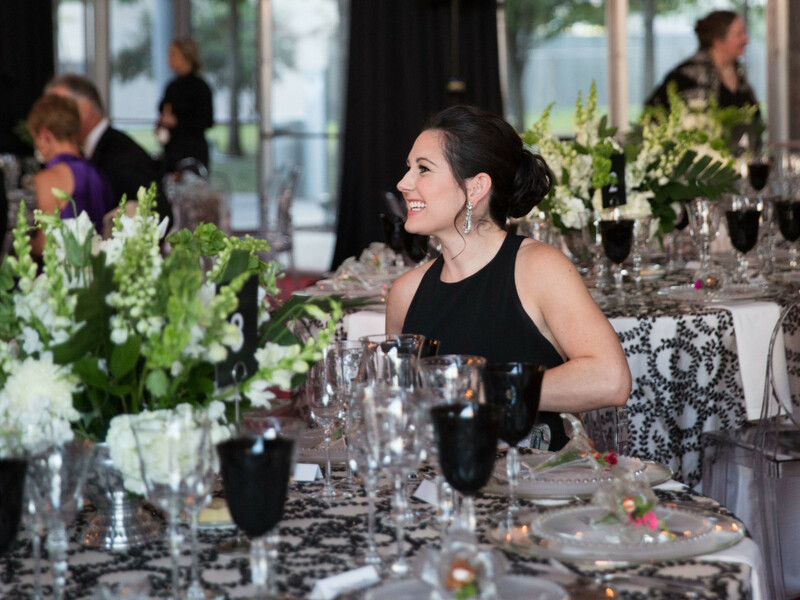 Just after 6 pm, patrons were ushered inside the Sammons Park tent, which boasted a black-and-white theme complemented by gold utensils, gold-trim glassware, and spectacular crystal chandeliers suspended from the ceiling. 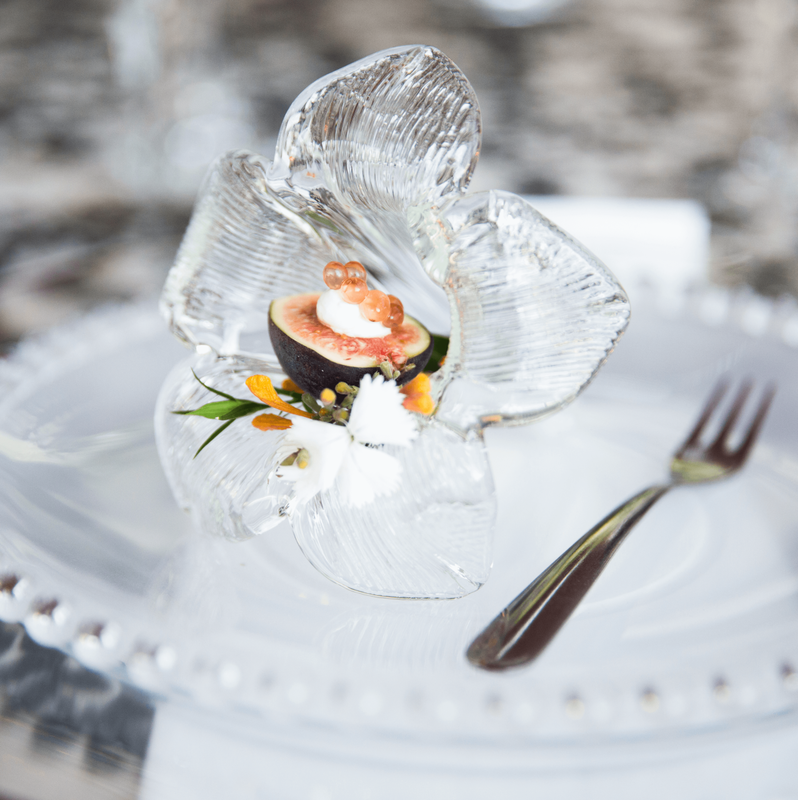 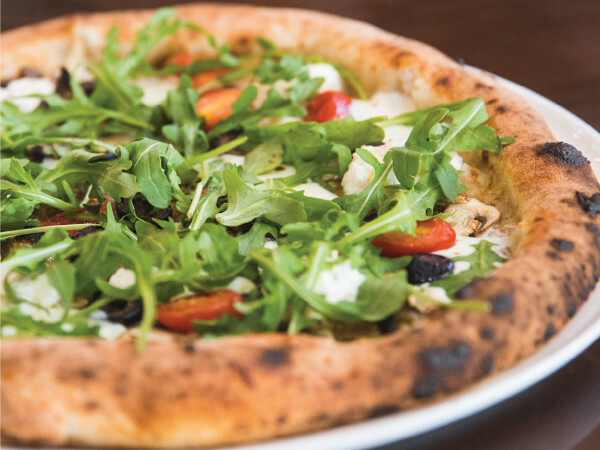 The three-course dinner menu was inspired by the opening night performance of the romantic Russian tragedy Eugene Onegin. 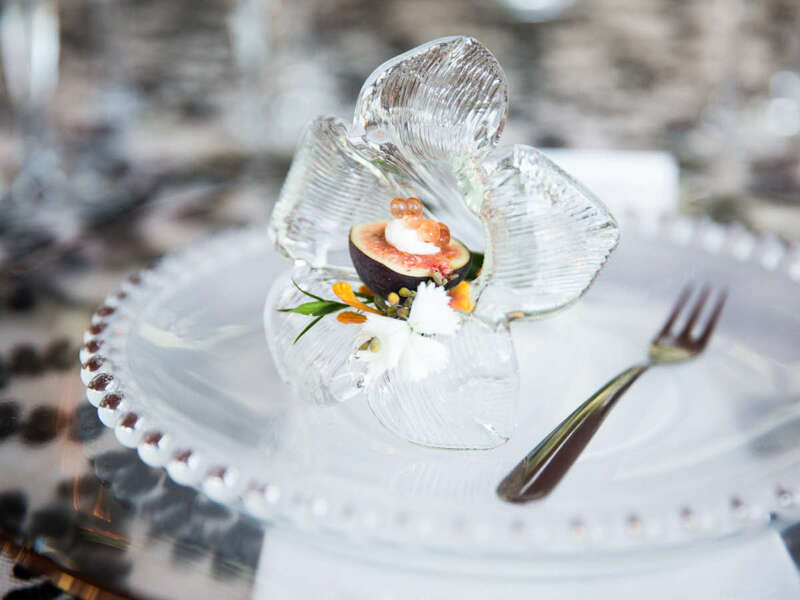 Wolfgang Puck did not disappoint, serving a salad topped with sea salt-poached lobster; Prime New York steak with caramelized parsnip butter, pelmeni, wild mushroom demi, and watercress; and a sweet trio of chocolate Russian matryoshka dolls. 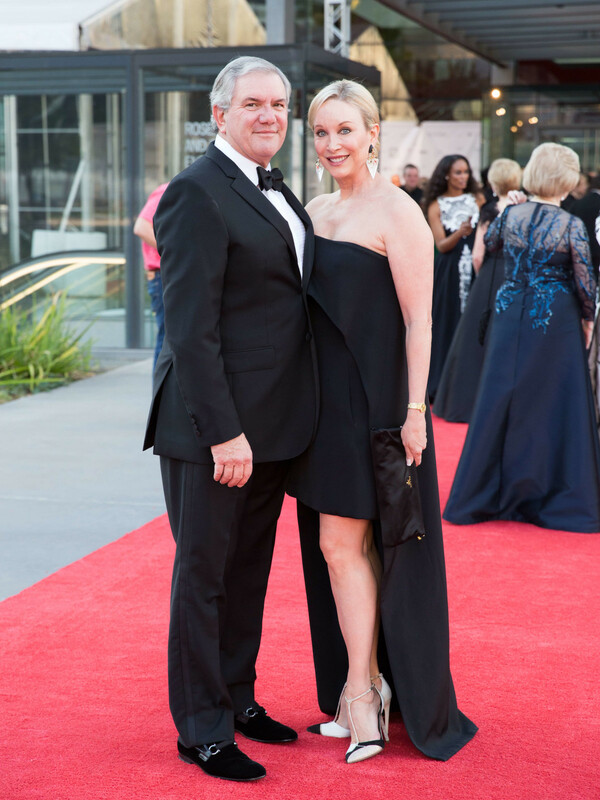 Once everyone found their respective seats, Ellen Winspear, Dallas Opera CEO Keith Cerny, Mark LaRoe, Ellis-Kirk, and Holly Mayer made toasts. 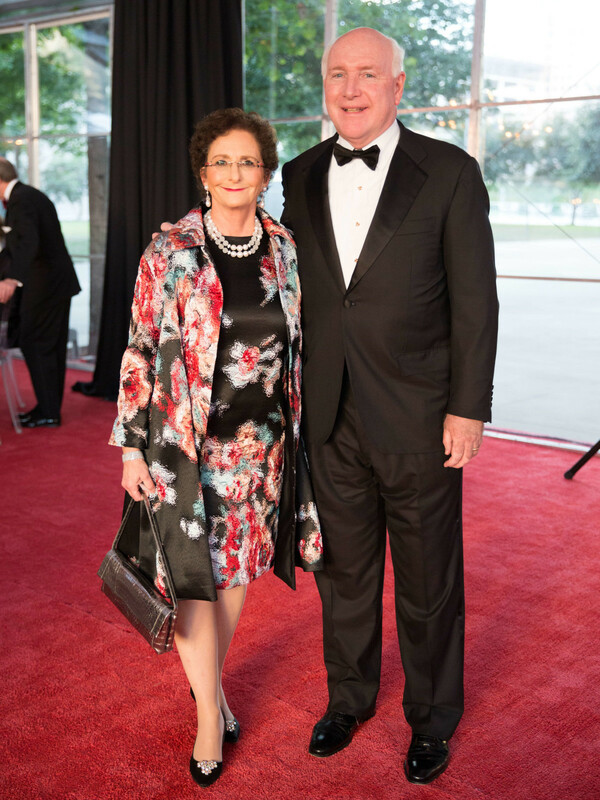 “We are so grateful for the incredible support of the opera patrons who came to celebrate the Dallas Opera’s 60th season kick-off, First Night. 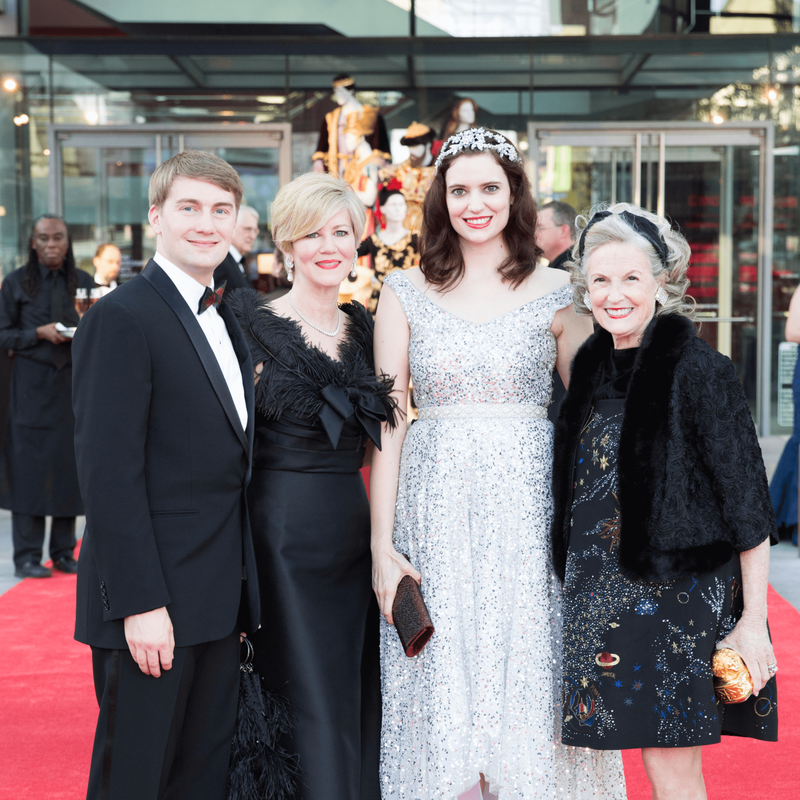 It is fabulous to share the enthusiasm with so many opera supporters who understand the importance of being a part of such a significant world-class organization,” Ellen Winspear said. 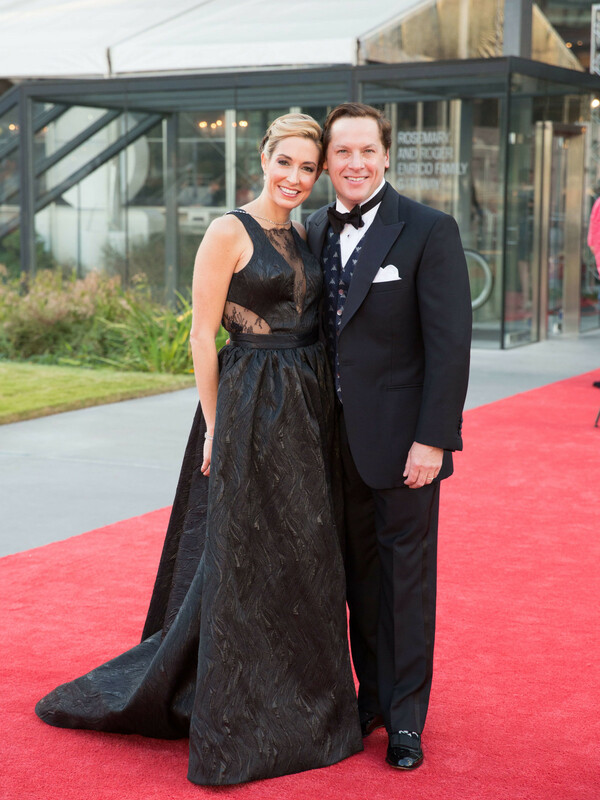 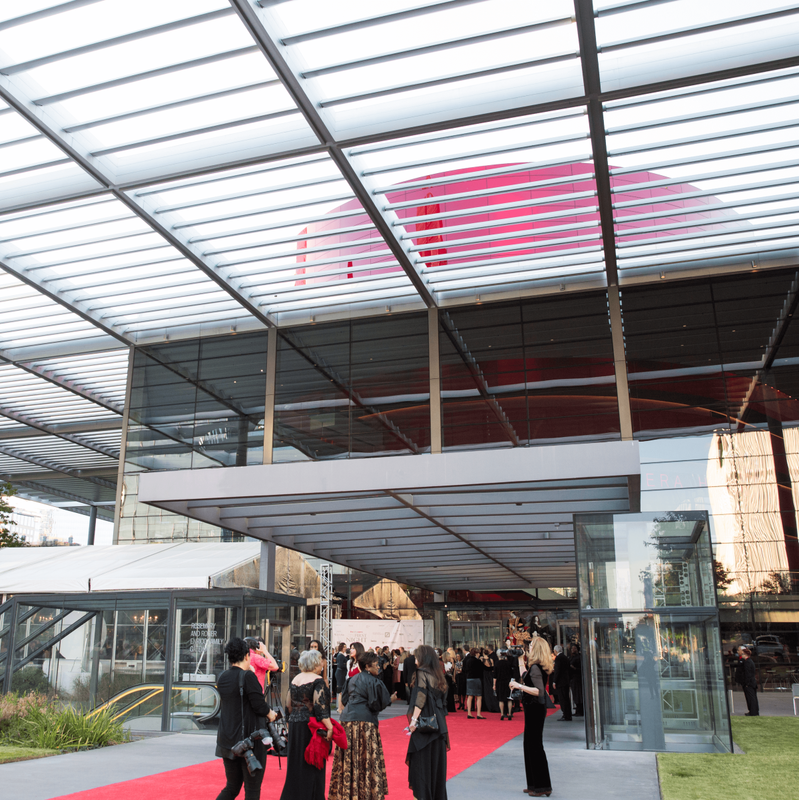 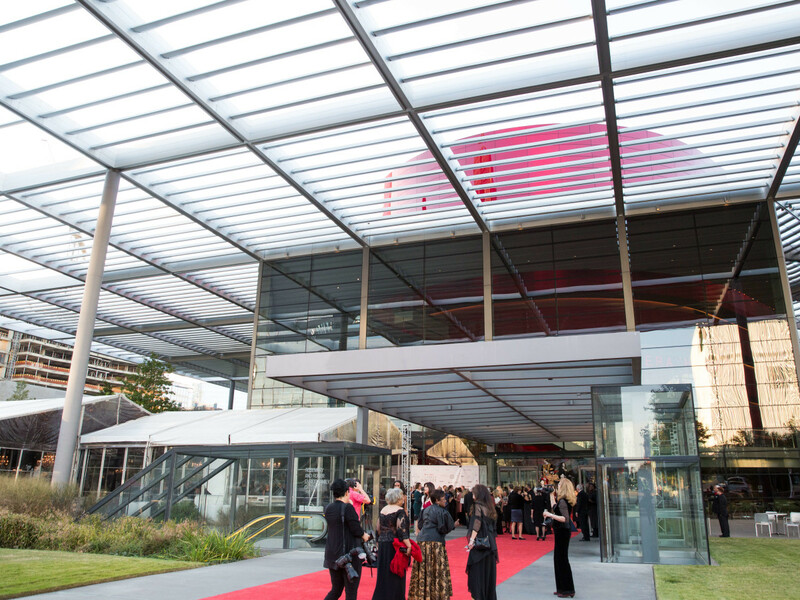 After dinner, attendees filed into the Winspear, where Cerny announced that the Nashers of NorthPark Center have pledged their support to the opera for the next 20 years. 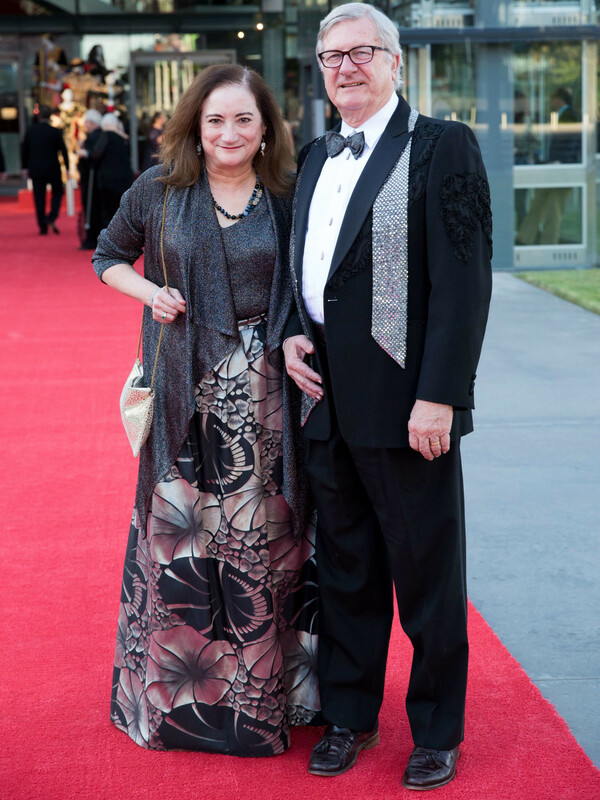 The evening’s performance received a standing ovation, thanks in no small part to stars Andrei Bondarenko (Eugene Onegin) and Svetlana Aksenova (Tatyana Larina). 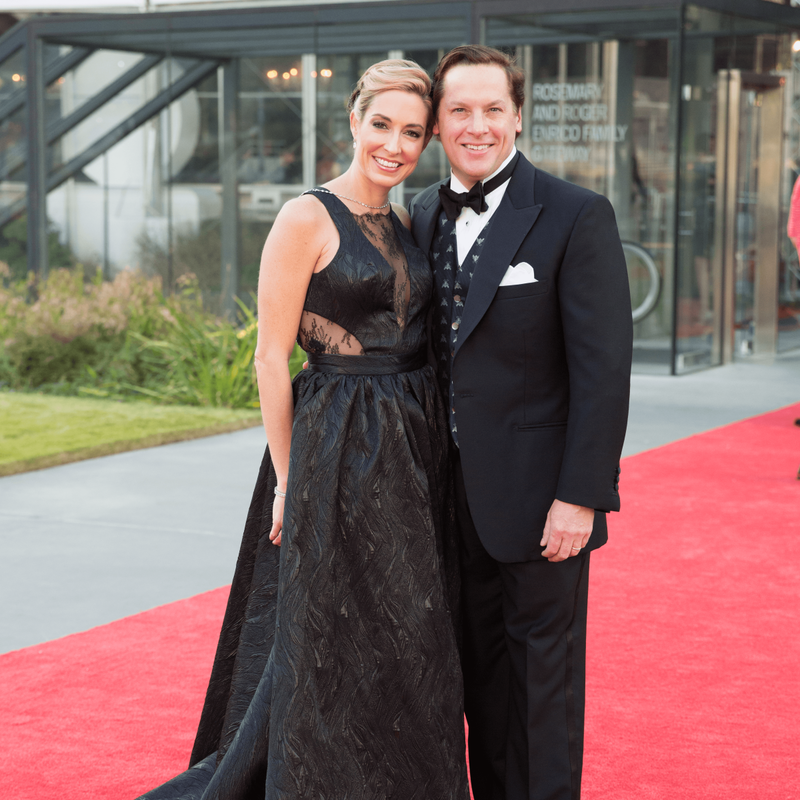 Eugene Onegin is the tale of a one-sided love affair between an innocent country girl and the charming yet condescending aristocrat she longs for. 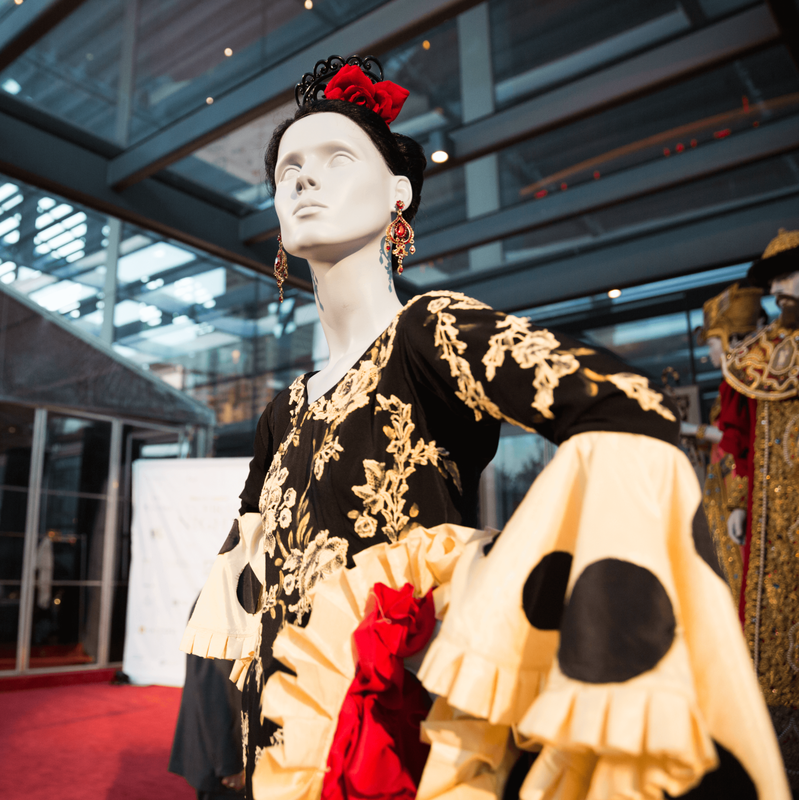 The story takes place within a very complicated social and political time in 19th century Russia, and it is based on Alexander Sergeyevich Pushkin’s novel — a labor of love that took him seven years to complete. 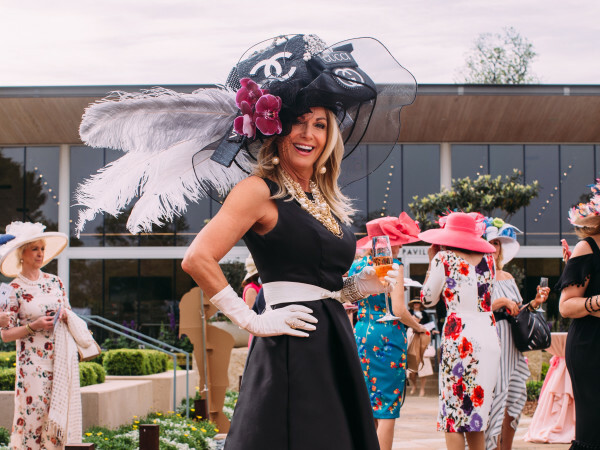 A pop-up photo booth with props ranging from Viking hats, colorful sunnies, and signs boasting phrases like “best dressed” and “these heels hurt” had guests lining up — and enduring the pain.